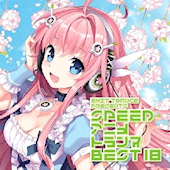 SATB 18 just came out, and the CD version is notable for taking up all 80 minutes on the CD. If they weren’t going to have 20 tracks, at least they used up every single second they possibly could. First-press copies come with a cell phone strap. Also, I didn’t notice before, but it looks like they stopped doing the Karaoke CD present after SATB 16. Instead, sending in the included survey will get you some sort of autographed item. Update (5/7/13): Cover art is out! I have no idea what a bus (RV?) has to do with Enka. The cover does look like it’s by Mega Graphics, though it’s disappointing they’re not using the old, familiar SPEED logo. I’ve also listed the original BPMs of the presumed 3 repeats on the album. The repeats originally ranged from 144-160 BPM. Needless to say, I really hope they rearrange them. Hell, I’ll settle for just increasing the tempo, but no way in hell should the last song on a Speed album be only 160 BPM. Delayed from its original March 20 release date. 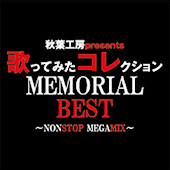 The final list is a mix of EDM, House, and J-Pop. 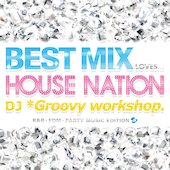 Mixed by Groovy Workshop. 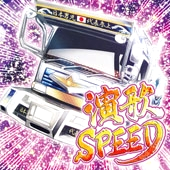 A doujin release from famed trance/eurobeat artist, Remo-Con. 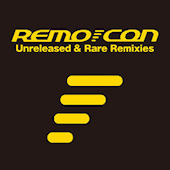 As the title suggests, it features rare and unreleased remixes. You can listen to samples on the official website. Disko Warp has a few copies of the CD up for sale on their Bandcamp. 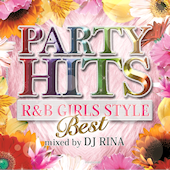 Another Party Hits compilation, this time mixed by famed female DJ, DJ Rina. A doujin release by the doujin circle, T&Co. 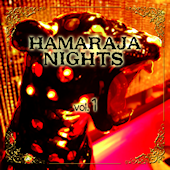 It’s an homage to the old Maharaja Night series, which featured disco-NRG songs. Disko Warp has a few copies of the CD up for sale on their Bandcamp. 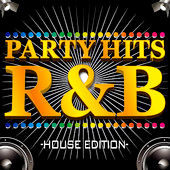 Full versions of songs from the Party Hits series. Available on iTunes Japan. Update! (5/31/13): Apologies for the slight delay, but winners have been chosen for the contest. Terezinha wins first prize for remembering the time when EMI tried to force “Rhythm & Police” on every Speed compilation possible. I used a random number generator to determine the second prize, and the winner is Saolo. All other participants will receive one song download from Juno Download OR iTunes US OR Amazon MP3 US. Please keep an eye out for an e-mail from me shortly! Thanks to everyone for participating! 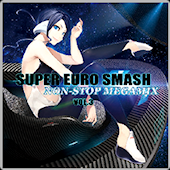 The Super Euro Smash series gets a third release, but unfortunately it’s just a non-stop mix featuring all of the songs from the first two volumes. Kinda pointless, since the previous volumes already had mini-megamixes. There is a new DJ katsu remix of “Our Generation,” though. The album will be available at Akiba Koubou’s booth during the Nico Nico Cho Kaigi 2 event. 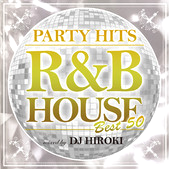 50 of the best songs from the Party Hits ~R&B House~ series, mixed by DJ Hiroki. Also available on iTunes Japan. Another excuse for Akiba Koubou to repeat tracks. Nothing particularly new or interesting on this one, although this one is a non-stop mix whereas I believe previous albums in the series contained full versions. 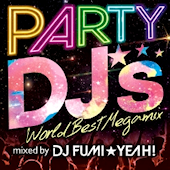 Party DJ’s -World Best Megamix- mixed by DJ Fumi*Yeah! A new house/EDM compilation mixed by DJ Fumi*Yeah!, featuring songs from DJs around the world. Eighth wave of Utatte Mita singles from Akiba Koubou, though there’s only one single in this wave. 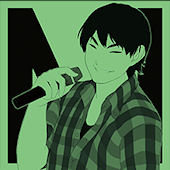 This one features male utaite, Mao. All resings, though “Ready Stead Go” is a pretty recent production. The single will be available at Akiba Koubou’s booth during the Nico Nico Cho Kaigi 2 event. 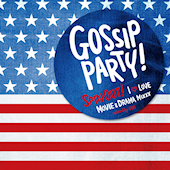 The Gossip Party! series continues with house covers of songs from popular movies and TV shows. Also available digitally on iTunes Japan. Final list is out, and it’s 19 tracks total. The tracks have been divvied up a bit more evenly than they were on SATB 17, where 2 artists got 5 tracks each. This time, Hommarju and Disco da Gama lead the pack with 4 tracks each. Booing Day and MK each get 3 tracks, while Flash back Dominant and Icon get 2 each and plazma rounds out the list with a single track. Ryu*’s absence isn’t a surprise, but there’s sadly still no Dizzi Mystica. It makes me wonder if he’s just too busy with his own sample production company, Katana Bits. Or maybe he’s just taking a break like MK did for a while. Or was Disco da Gama his alias? I honestly keep forgetting. Edit: According to the Chinese Wikipedia page for Exit Trance, Disco da Gama is indeed Dizzi Mystica. Loli Salad did a nice job making the list more presentable, and it’s neat to see the who’s behind the various aliases.